Ryan Giggs believes Jose Mourinho should remain as Manchester United manager. 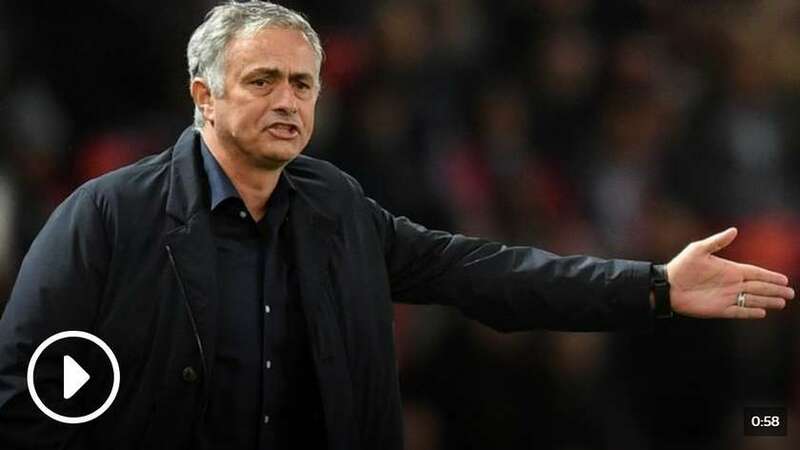 The Wales manager and former United midfielder had been tipped to take over from Mourinho by former Premier League manager Graeme Souness. Giggs was at Old Trafford on Tuesday night when United were held to a Champions League 0-0 draw against Valencia. During a press conference to announce the Wales squad, Giggs shrugged off the comment when asked if Mourinho should go. He said: "No. They're going through a tough time at the moment. Wales manager Ryan Giggs has urged his former club Manchester United to stick with Jose Mourinho despite their recent problems. "I said that last time, where do they go? Change now and you'll be in the same position in a year or two years quite possibly. "I believe he should keep his job." Mourinho has come under increasing pressure with United 10th in the Premier League and four games without a win. A run of poor form, including a 3-1 loss to West Ham last weekend, has led to rumours about a rift within the dressing room. United captain Antonio Valencia added fuel to this earlier in the week when he liked a post calling for Mourinho's sacking. The right-back was quick to apologise, explaining it was a mistake.